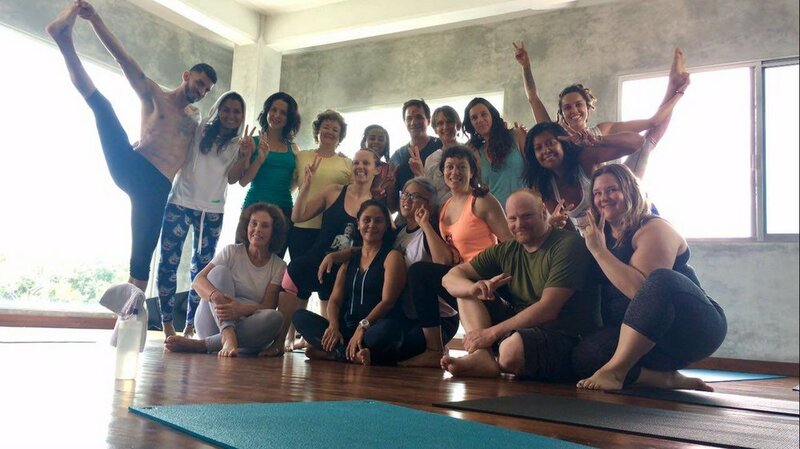 Find out more about Mindy's experience teaching and training. At first, in my early 20s, I was guilty of the sweat=effort misconception. However, Bikram’s appeal to my type A personality was the gateway drug to my ongoing yoga practice. During my teacher training program, questions were being answered I didn’t even realize I was asking. After knee surgery last year, I really began seeing yoga practice in three dimensions: using it for pain management- for life management; learning to be patient with a limited me; constantly assessing whether it was ego or therapy leading me to to push or pull back. 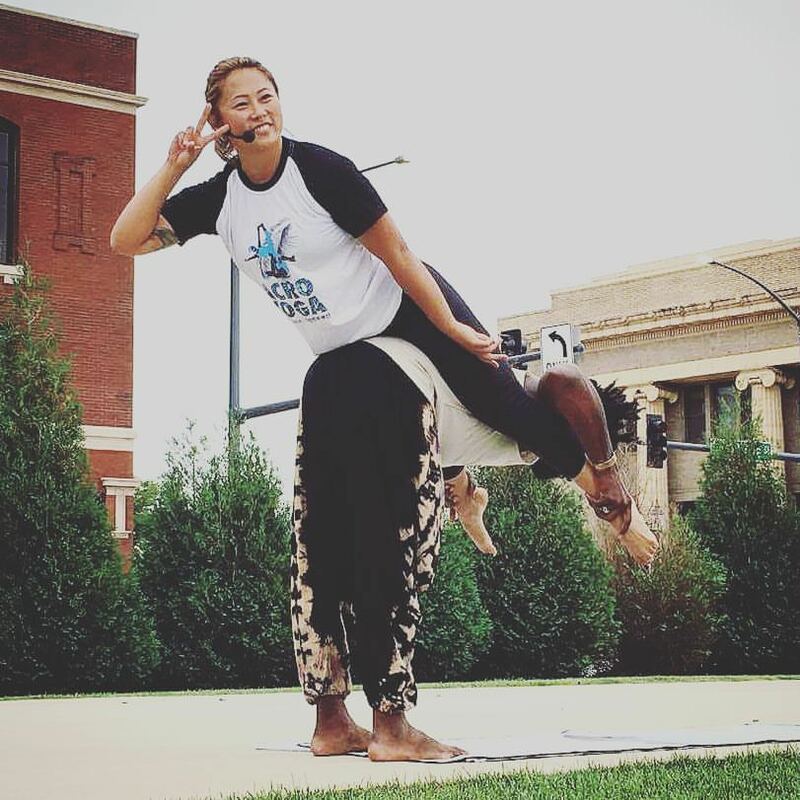 AcroYoga follows a similar path: at first there was the spectacle. Three years later, I see the therapy in touch, trust and resetting the perceived limitations of our capabilities. My classes and workshops play with partner support and guidance both in the air and on the ground. All too often, yoga classes take on a competitive atmosphere. Using partner training, we build a better self in an atmosphere that abandons competition and cultivates community.